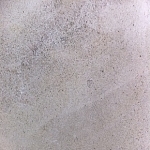 Mocha Nile Limestone is available in 2cm polished slabs. CCS Stone, Inc. is a high quality natural stone importer and fabricator located in Northern New Jersey. We ship slabs and cut to size projects to stone professionals around the United States, Canada and the Caribbean Islands. The company is a supplier and fabricator of marble, granite, limestone , slate, travertine and quartzite as well as engineered stone, porcelain and Dekton® and is New Jersey’s first MIA Accredited Stone Fabricator. CCS Stone, Inc. produces kitchen tops, vanity tops, niches, curbs, jambs, shower walls, fireplaces, barbeque tops, stone cladding, treads, risers, wall caps for interior and exterior stone projects. CCS Stone is a natural stone company with years of experience and provides expert technical assistance in all areas of stone processing, importing , fabrication , delivery and installation. The company is located near New York City in the New Jersey Meadowlands. The showroom is open to industry professionals and their clients. Showroom hours are 8 am – 5 pm Monday through Friday or by appointment. The showroom has hundreds of natural stones on display including samples of the most popular engineered quartz materials. The company’s slab inventory is warehoused indoors for easy viewing.